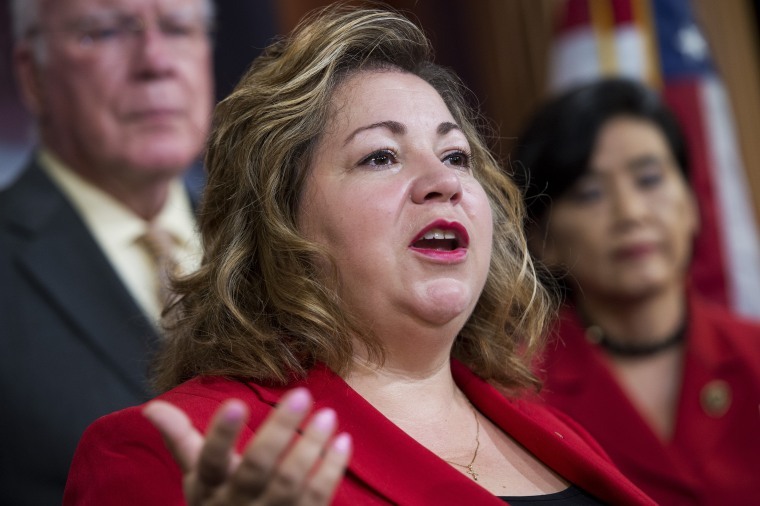 Rep. Linda Sanchez, D-Calif., speaking during a news conference in the Capitol to introduce the Voting Rights Advancement Act of 2015, June 24, 2015.Tom Williams / CQ-Roll Call,Inc. The chair of the Congressional Hispanic Caucus (CHC) Rep. Linda Sanchez (D-CA), has endorsed Democratic presidential candidate Hillary Clinton in an opinion piece in La Opinión, the largest Spanish-language newspaper in the U.S. Her endorsement was tweeted in Spanish: "Hillary Clinton is the leader the country needs." "On everything from the economy, to health care, to education, she has been a passionate ally of the Latino community, in part because she recognizes how all of these issues are actually connected. She knows that building a stronger country means we’ll need a stronger workforce," wrote Rep. Sanchez. The daughter of Mexican immigrants, Sanchez emphasized the importance of opportunities for Latino and African-American families. "We need a president who will never stop fighting for families like these, and I believe with all my heart that president should and will be Hillary Clinton." Housing Secretary Tom Perez, who is Dominican American, recently endorsed Clinton.